The Internal Market and Consumer Protection Committee (IMCO) met on the 30th November 2010 to discuss the EU Commission’s proposal for a regulation on type-approval and market surveillance of L-category vehicles. The IMCO is responsible in this context for – the harmonisation of technical standards – The promotion and protection of the economic interests of consumers, in the context of the establishment of the internal market. 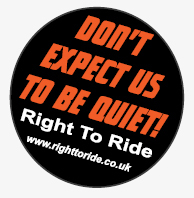 Right To Ride has written to all members of the committee including the Chairman Malcolm Harbour (UK MEP), the Rapporteur Mr van de Camp and N.Ireland’s 3 MEPs. 2) extending anti-tampering measures will stop small businesses and/or individual engineers from innovation and it would mean that once a motorcyclist has passed the various tests to be introduced within the new 3rd European Driving Licence Directive, they would not be able to de-restrict their motorcycle and be forced to buy a new one – increasing profit for the benefit of industry, but not for consumers. Our friends over at Back Roads Rider have analysed the IMCO meeting in their usual style of short concise and sometimes controversial articles designed to invite comment and debate. If you hadn’t already guessed the European Union (EU) Directorate General for Enterprise and Industry (DG Enterprise) framework regulations on motorcycle anti-tampering, modification measures, emissions and noise checks, as adopted by the European Commission, have hit the European Parliament committee stage. The bit where the civil servants collided with the democratic loop, in this case IMCO. So what’s going on? It’s up to IMCO to pick through the bones of the 14 proposals of the “Approval and market surveillance of two or three-wheel vehicles and quadricycles” legislation and decide what’s in and what’s out. Before moving on to approving it with any amendments and passing it on to the European Parliament. On one side we have Malcolm Harbour and around 27 IMCO Committee members on the other Giacomo Mattino from the Automotive Unit DG enterprise and somewhere in the middle Wim van de Camp the IMCO Rapporteur charged with sorting out a good ole compromise. Any action in Committee then? Well Mr Mattino, who assured us that he is a motorcyclist, went to considerable lengths to emphasise the amount of consultation that has gone on. Of course he didn’t mention the figures which actually are; consultation responses from companies, associations and public authorities 41 and from EU citizens 16. Mr Habour questioned Mr Mattino over the accident stats relating to mandatory ABS and upon Mr Mattino’s apparent confusion over the merits of advanced braking systems, antilock brake systems and combined braking systems. He also made a somewhat worrying statement in relating the fact that EU legislation on the type approval of after market car parts had actually improved the market for parts so he expected this would apply in relation to the anti tampering proposals for motorcycles and scooters. 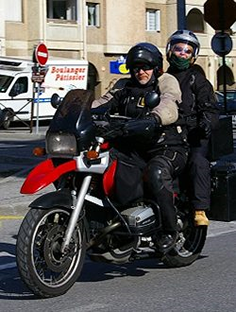 Mr van de Camp, also stating that he is a motorcyclist and is thus aware of the ‘problems’, made a statement on scooter safety and anti tampering which appears to mean he intends to ensure that the euro scooter boys days of fun are over. i.e. It’s not a good time to buy shares in Italian after market scooter exhaust companies. So what’s really going on? It seems that both in public and private Harbour is unhappy with the ABS issue. He has asked Mattino to go away and come back with more evidence of the effectiveness of ABS in reducing accidents. He is perhaps unhappy with Mattino’s benefit to cost ratios. After all this is mandatory legislation that IMCO are being asked to endorse. News reaching BRR from a number of sources also indicates that Harbour is confused over the Federation of European Motorcycle Associations (FEMA) position on ABS and has asked them to sort it out. IMCO is to meet with FEMA in February.